Uttar Pradesh state is very soon going to face written exam for UP Police Bharti. Candidates have already started to prepare for stage 1 test. UP Police Exam Pattern will soon be provided to candidates here on this page. So keep going on and read our full page. It will surely help you and beneficial. UP Police released the notification of 41520 Constable Posts. The UP Constable Exam Pattern is as follows in this, first is Written Test & 2nd Step is Physical Test. Then, it is Document verification and the last one is a medical test. The idea of the paper is with the help of Exam pattern. UP Police Exam Pattern 2020 will help you to manage that how to deal with the written test in the examination hall. Total 41520 combined posts of UP Police Constable and UP Provincial Armed Constabulary have been declared recently. Candidates who have applied for Constable Post are now preparing for written examination. To clear this stage the most important thing is UP Constable Paper Pattern 2020. We already have explained all about it in this article. There are no changes in the exam pattern. First you should start your study for exam with the UP Police Constable Syllabus which is described on this very page. According to the latest notification by UP government there are no changes in exam pattern. If there are any changes made by UPPRPB we will update it on this site. You should start preparing yourself according to UP Police Constable Paper Pattern 2020. The full syllabus and exam pattern is mentioned in the official notification. We have also shared the exact exam pattern here. All the questions are of MCQ (Multiple Choice Questions). The written exam will be of 300 marks. There is one fourth negative marking for each question. Each Question is of 1 mark and will deduct the marks for wrong question. So, accuracy is must. There will be questions from General Awareness, General Hindi, Numerical ability, Quantitative Mental Aptitude and Reasoning Ability questions. There are no criteria of the subject wise cut off. The sectional cutoff is not necessary for this exam. So, it’s the best for you, because you must focus only on the total marks obtained. This is not an online exam. The paper is based on pen paper mode as OMR Sheet will provide to you. There is no pre mains exam. Only one exam will be held. These are the main points regarding the Uttar Pradesh Police Exam Pattern. You must keep these points in mind to score better in written stage. One point is that both male and female aspirants can apply this UP Police Constable Bharti. 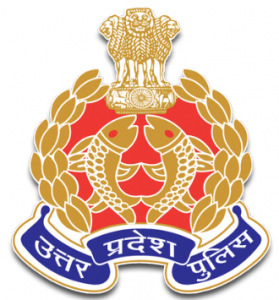 In the above section, we have provided you the detailed Uttar Pradesh Police Exam Pattern 2020. Below we are providing you all details about the Uttar Pradesh Constable Exam Pattern. Here we provided you the syllabus with all topics covered. Look carefully at this.We have included all the subjects from which the questions will be asked. General Hindi: हिंदी रनमाला, संज्ञा, संधि,समास, etc. General Awareness and Knowledge: Static Questions, History, Current Affairs, Economics, Culture, Geography etc. Logical and Analytical Reasoning: Logical Venn Diagrams, Syllogism etc. Non-Verbal Reasoning: Mirror image, Series, Analogy, etc. Numerical Ability: Number System, HCF and LCM, Square Root and cube root, Indices and surds, Simple and Decimal Fractions,Simplification, etc. Stage 1: Written Test (Offline MCQ Type Exam). This is the necessary information which you expected to get the updates regarding for your exam. Our team is forever ready to help you. Our team is superior to all the team members are engaged to give information to all aspirants. Look carefully at UP Police Exam Pattern 2020. We have also provided you the syllabus of the written exam.